Now here is a man after my own heart, there was a time (sorry to admit the anoarkism) that I knew every song in the Luke Kelly canon, oh the agony my poor old dad had to put up with as I lacerated Wean Macula classics in the bathroom every morning. I’ve had a suspicion that Brian Roebuck probably did the same and he’s still at it but he’s a swath’s cut above the ordinary. Essentially what we have here is a Luke Kelly Tribute band of the highest order. Roebuck’s voice is very close to the original, a native Dubliner himself the accent is natural, nothing contrived which gives him the freedom to let rip unselfconsciously. 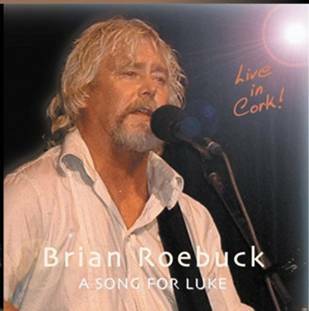 Recorded live in Cork (at De Barra’s Clonakilty, West Cork, and The Munster Arts Centre in Kilworth). 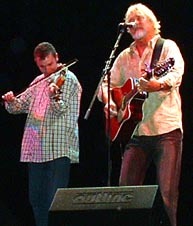 Brian is now based in Manchester and he’s joined on the album by Mancunian Dezi Donnelly on fiddle and he’s on top form. Alongside those two are a pair of banjoistas, Marcus Moloney on tenor and Pat Kelleher on five string, giving that authentic early Dubliners sound. There are a dozen and a half-tracks, ‘Raglan Road’ is on there (of course), ‘The Foggy Dew’, ‘The Monto’, ‘Peggy Gordon’, familiar Luke Kelly territory, nothing form the backwoods, it’s a familiar drive through an open well known landscape. In an age of tribute bands, Brian Roebuck deserves a higher profile and a constant stream of work, from what we have here, he has the heart and the art to clatter your Old Triangle any day. Play it in your bathroom and you’ll be singing along within seconds.